With the Stamina Magnetic Fusion 7100, you get a hybrid of the best features of both stationary cycles and recumbents. 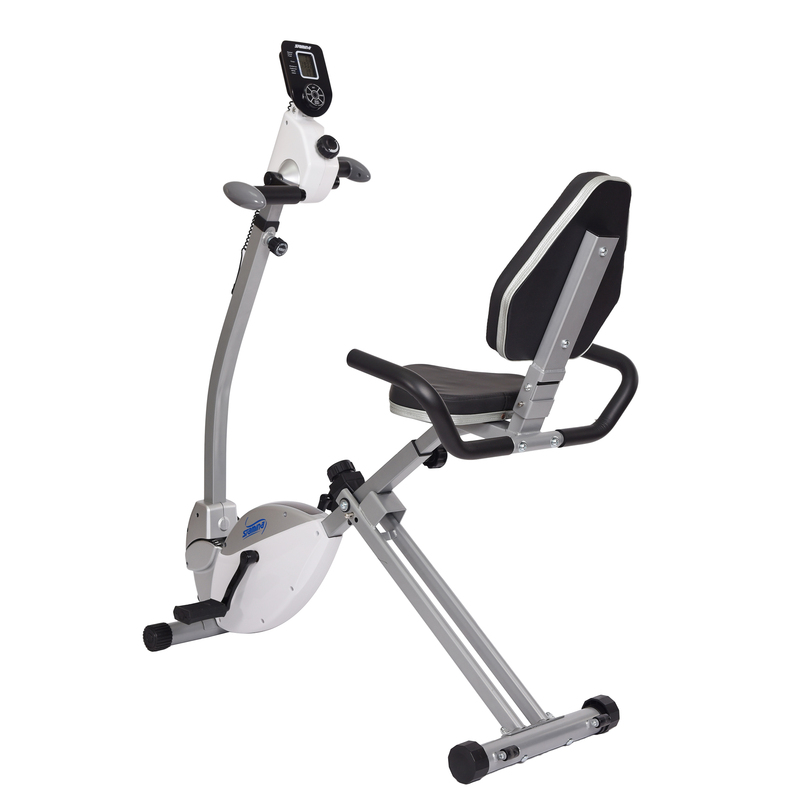 The traditional, up-right feel of regular exercise bikes is blended with the comfortable support of an angled recumbent so that you get the best stationary cycling workout possible. Because of its unrivaled comfort, you’ll be able to pedal longer and more ergonomically for an effective, low-impact cardio workout. Plus, you’ll tone your calves, thighs and glutes in the process. It’s all about the tech with the Magnetic Fusion. Instead of tension-knob resistance, you choose one of the eight levels of intensity for your workout with the electronic two-button control. In addition to controlling the resistance, the cycle’s electronics system also features an easy-to-read, multi-functional monitor that tracks time, speed, distance, calories, program and heartbeats per minute (measured by the bike’s pulse sensors). For further motivation, the exercise bike also comes equipped with six training programs: fat burn, maximum fat burn, aerobic, hill, mountain and plateau. From the convenient walk-thru design to the comfortable, oversized seat, the Fusion 7100 was for users of all ages and fitness levels. Since the seat provides a 45-degree leg angle, it reduces stress on the hips and joints, making this low-impact workout even more enjoyable. 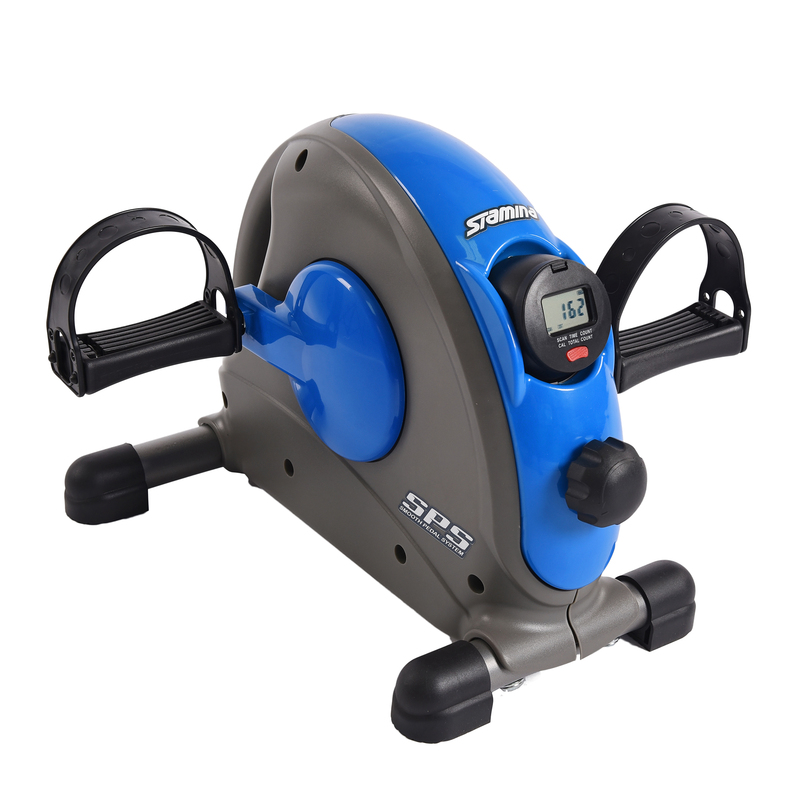 In addition to comfort, the exercise bike is also extremely stable – even with its light, portable frame. The 7100 can support up to 300 lbs., and its leveling stabilizing caps keep the bike still during use.